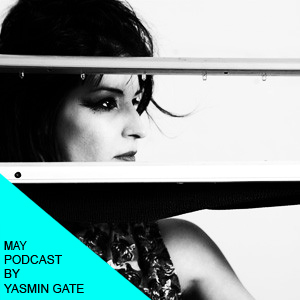 Yasmin Gate‘s podcast for May is an energetic one mixing techno, house and electro from the artists she likes and has collaborated with, and you can also spot some of her own tracks including the new Spinning Around – don’t miss the interview on FluxFM on the occasion of the release on May 25th. Yasmin evolves on two levels: as a DJ not afraid to mix electro dancy tracks with darker techno or fresh easy house, and as a live performer with her very own Dsumi, visuals and other hi-tech toys. Coming near you soon! In the meantime, enjoy the music and get more info on Killerrr and watch the video for her single that premiered on Vice/Noisey. Previous “Eden” – Mary Ocher’s 2nd album is out now!